After a bumper listing of Rites Limited – a state-owned railway consultancy firm – that has seen the stock rise 26 per cent since its debut on July 2, 2018, the government seems to have changed its mind in favour of buying back shares of public sector enterprises (PSEs) given the volatile markets. Though a timeline is yet to be finalised, Coal India, NTPC, NALCO, NMDC, BHEL, NHPC, NBCC and Hindustan Aeronautics are among the 13 companies, according to reports, that have been shortlisted for the buyback. While a share buyback is a positive development from a near-term perspective, analysts say the move is also a structural positive. “The in-principle nod of a share buyback by these companies is a broader positive for the entire PSU space. For years, PSUs have suffered from poor capital allocation practices in India, with accumulated cash which is used either for unproductive or poorly planned capex. As such, cash distribution through any form is a welcome change, in our view, and boosts return on equity (ROE) near-term and makes a case for a structural re-rating,” write Amar Kedia and Priyankar Biswas of Nomura in a recent report. The buyback route, experts say, is a better way to reward shareholders rather than paying a hefty dividend, as the latter is subject to tax. 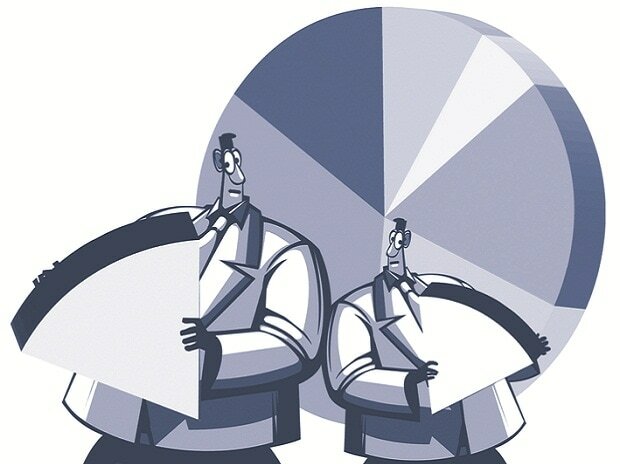 As per law, income by way of dividend above Rs 10 lakh is chargeable at the rate of 10 per cent for individuals, Hindu Undivided Family (HUF) or partnership firms and private trusts. So, should you tender shares in case the buyback offer for these companies does come about? Analysts do think so given the recent underperformance of PSU stocks. Thus far in the calendar year 2018 (CY18), stocks of most of the shortlisted companies have underperformed the market. KIOCL, for instance, has slipped 52 per cent in CY18 as compared to 12 per cent rise in the S&P BSE Sensex in CY18. NBCC, NLC India, Nalco, Bhel and NTPC, on the other hand, have slipped 4 per cent - 42 per cent. Coal India, however, is an exception that has moved up nearly 9 per cent during this period. 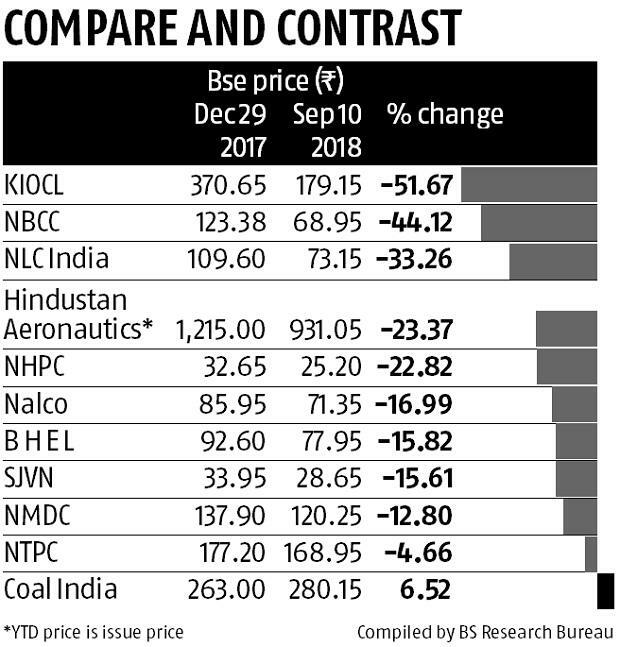 That apart, shares of all the three PSUs – MOIL, Bharat Electronics and SJVN – that have bought back shares in the current year are trading below the buyback price, data show. The S&P BSE PSU index has slipped around 16 per cent thus far in CY18, as compared to 12 per cent rise in the S&P BSE Sensex. “The buyback provides a good exit opportunity to those investors should be bought these stocks at a higher level and have been stuck with them since then. However, one must evaluate the buyback on a case-to-case basis and look at the future growth potential of the PSU along with the balance-sheet strength,” advises A K Prabhakar, head of research at IDBI Capital. Going ahead, Nomura estimates that if the buyback happens at a premium of 15 per cent to the current market price, the FY19F ROEs for BHEL and NBCC would rise by around 200 basis points (bps) and around 500bps, respectively.